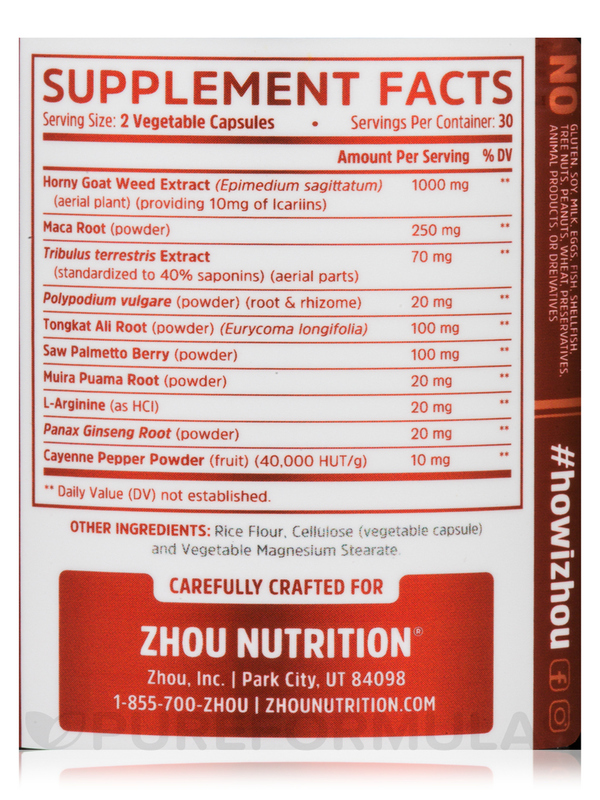 Enhanced Energy: This complex is a unique combination of several herbs that have been used by men and women for centuries in Chinese herbal tradition‚ including maca root‚ tribulus terrestris‚ muira puama‚ ginseng‚ and icarian‚ which is the active component in epicedium (the scientific name for Horny Goat Weed). 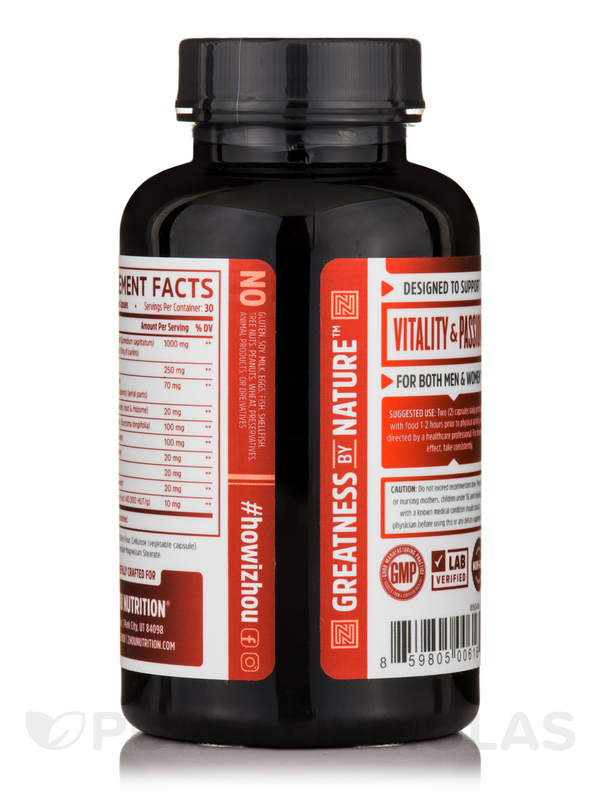 This vegetarian formula was scientifically formulated with just the right amount of each ingredient for powerful results. Top Rated‚ Top Quality: Only the highest quality ingredients were chosen for this vegetarian-friendly‚ non-GMO formula. 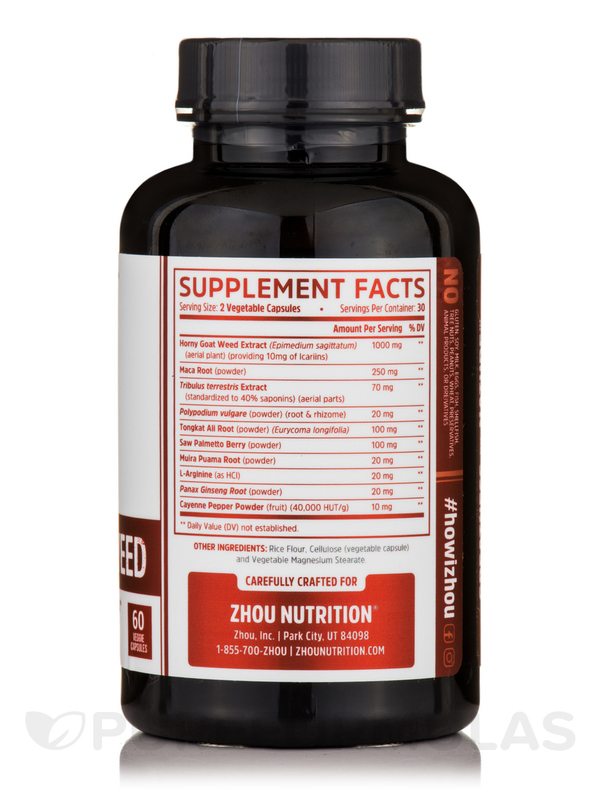 Get ready‚ you’ll experience more powerful benefits than you ever could’ve imagined from a supplement. Youthful Energy: Check off your to-do list like never before‚ and still have plenty of energy left over at night. 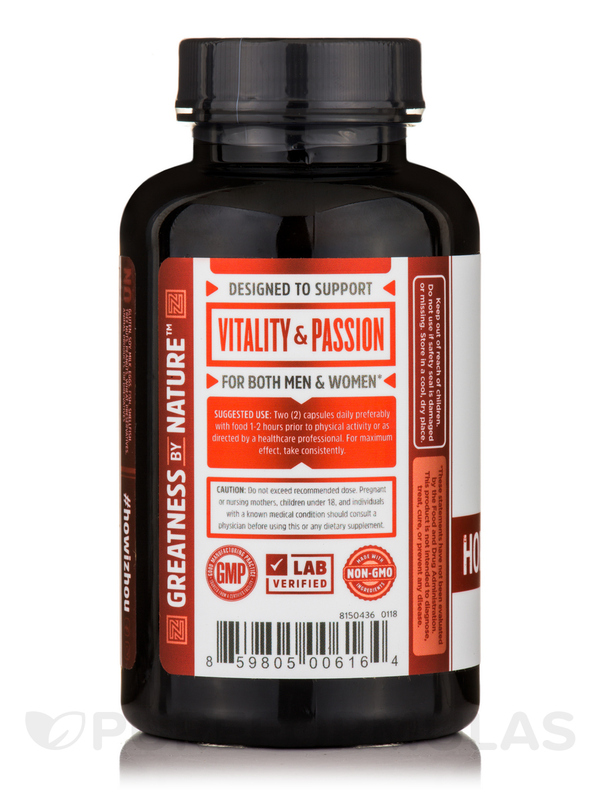 These herbal ingredients are formulated to deliver a healthy spark without the jitters. Trust us‚ you'll feel it. Other Ingredients: Rice flour‚ cellulose (vegetable capsule)‚ and vegetable magnesium stearate. No: Gluten‚ soy‚ milk‚ eggs‚ fish‚ shellfish‚ tree nuts‚ peanuts‚ wheat‚ preservatives‚ animal products‚ or derivatives. 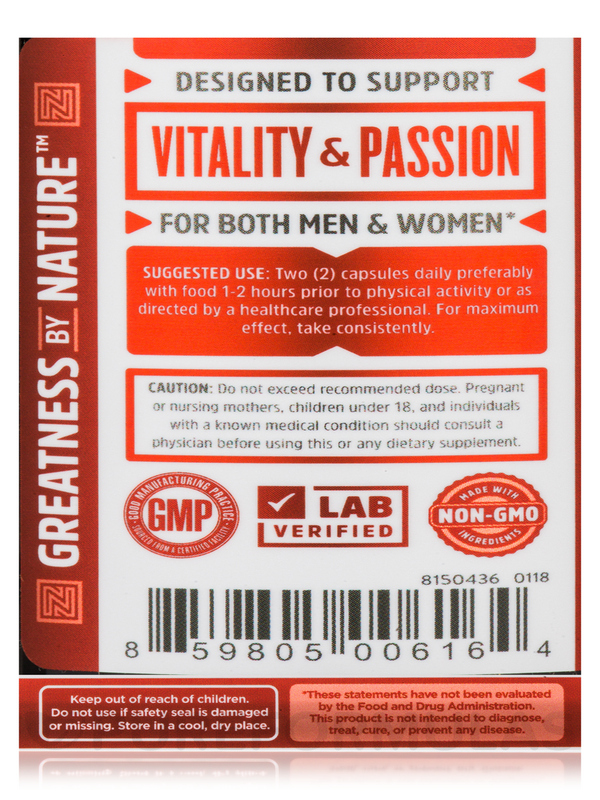 GMP / Made with Non-GMO Ingredinets. Two (2) capsules daily preferably with food 1-2 hours prior to physical activity or as directed by a healthcare professional. For maximum effect‚ take consistently.